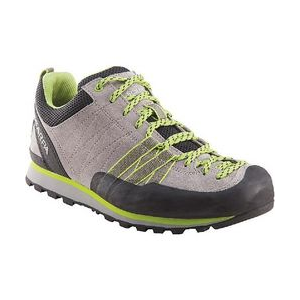 Slip on the Scarpa Men's Crux Canvas Shoe when you have to hop boulders, bushwhack through thick scrub, and hike up loose, steep terrain to get to the climbing wall. 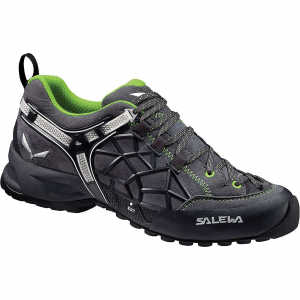 Scarpa made its upper out of suede for strength and canvas for breathability, making this approach shoe an excellent choice for summer climbing. 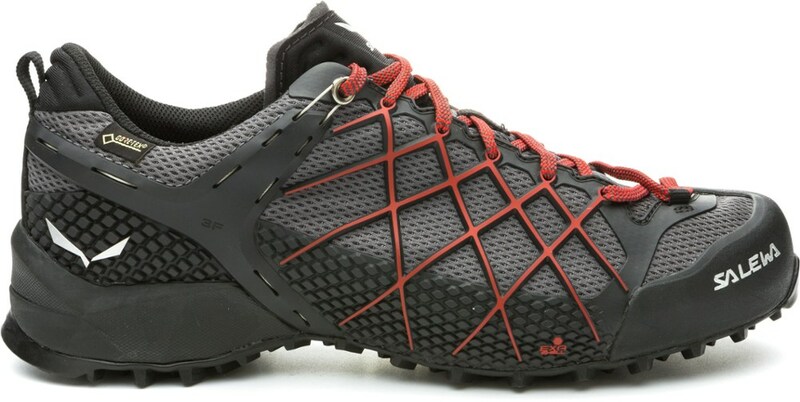 Its Vibram Vertical Approach sole features a wide climbing zone for increased grip, Vibram's 3-Angle lug design for directional traction and braking, and a self-cleaning design that keeps debris out of the lugs. The recycled polyester lining dries quickly so you don't have to slide your foot into a sweaty shoe for the descent, and the microporous EVA midsole provides all the cushioning you need for the longer approaches. Rubber backed with Kevlar covers the front of the shoe to offer serious, long-lasting protection for your toes. 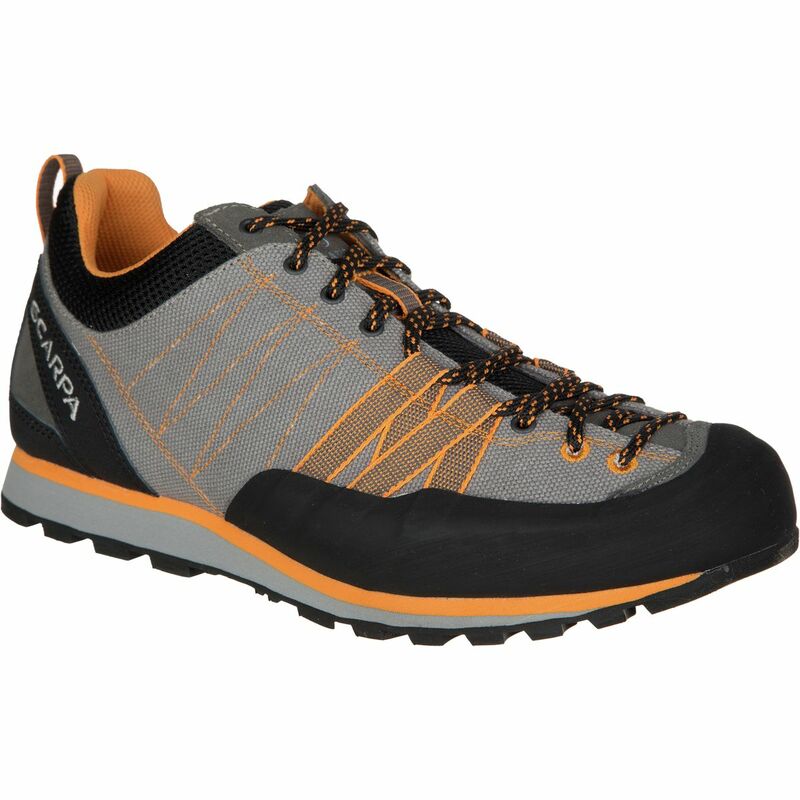 Scarpa's Crux Canvas is a universal approach shoe, designed to manage alpine hikes, easy climbs and loose terrain. 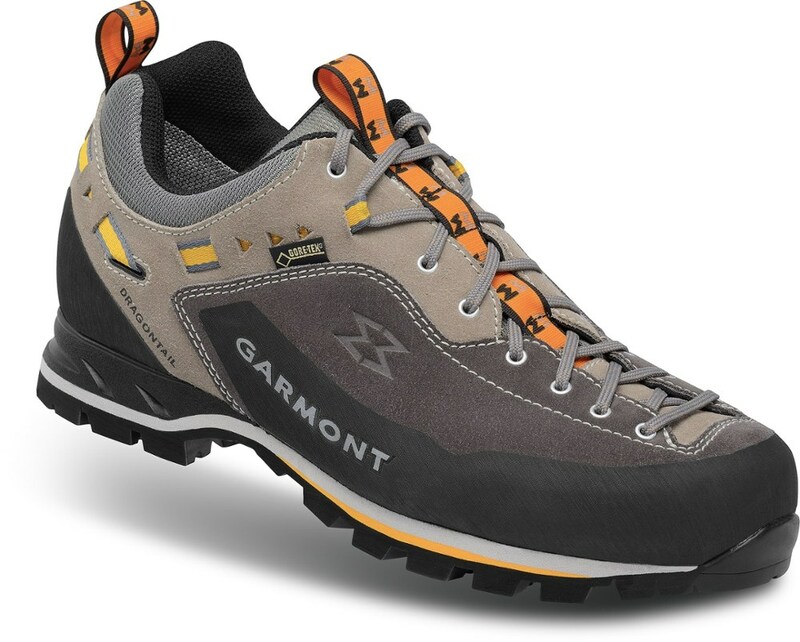 Built for versatility, it features the same ribcage reinforcements as the brand's climbing shoes, but it also provides the stability and durability of a hiking boot. 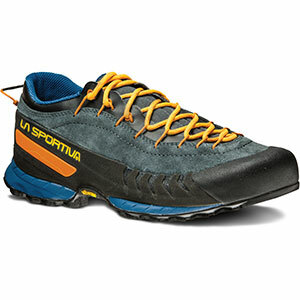 A low profile frame and a Microporous EVA midsole guarantee comfort for long hours in the hills. A Vibram(R) Vertical outsole ensures the Crux Canvas is utterly stable in technical terrain, taking you from the car to the base of your next climb with ease. 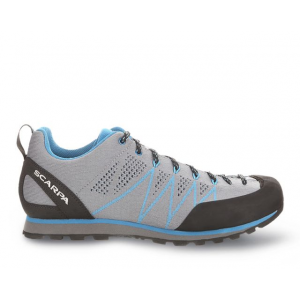 The Scarpa Crux Canvas is not available from the stores we monitor. It was last seen February 16, 2018	at Stio.